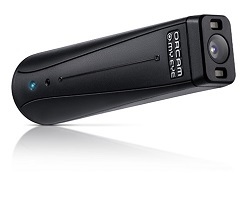 OrCam MyEye is a vision device reads text, recognises people and machine learns via an internal database, and Nolke Opticians is the only practice in Ireland to stock this ground-breaking technology. The device allows someone with a visual impairment to access any printed text on any surface wherever they are, using a combination of a camera, advanced computer vision and machine learning, and a small speaker. It was an obvious application for computer vision, explained Leon Paull, OrCam’s head of business development. “It’s quite unique in the assistive tech arena to have that level of investment and effort in one company behind one product,” he said. The small speaker is placed in such a way that it is easy for the wearer to hear the output without it being overly intrusive. 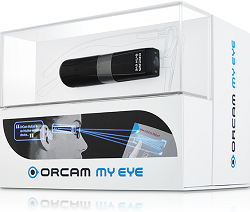 OrCam MyEye means you can read a newspaper, find products in a shop or tell who is approaching you without the need for outside assistance. Giving people with vision impairments back a degree of independence is something of which OrCam is proud. MyEye can recognise colours and products, read newspapers and restaurant menus, and decipher street signs. If the text is large enough to distinguish, MyEye can read it. Depending on where you buy the device, it will also recognise banknotes, an area where, Paull said, many users would otherwise run into difficulty. The version of the device sold in the United States will recognise different dollar amounts for both US and Canadian currencies; the one sold in Ireland will distinguish between the denominations of euro notes.